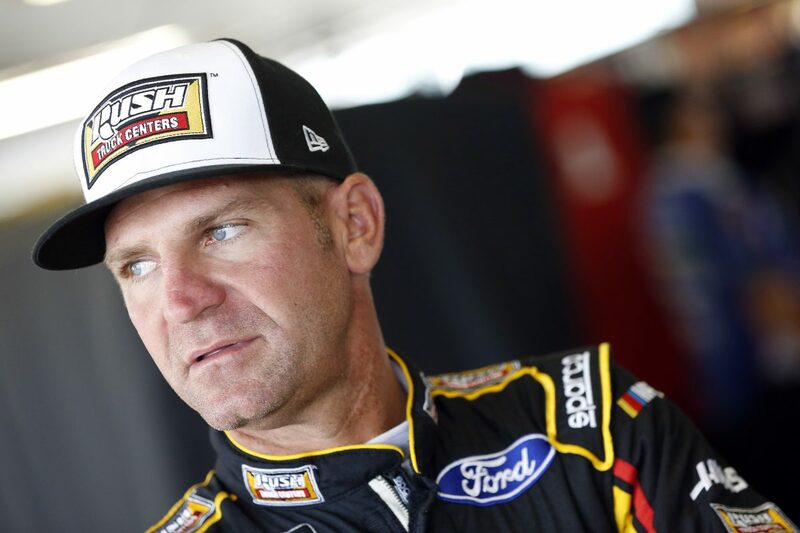 Every Monster Energy NASCAR Cup Series driver deals with pressure, but Clint Bowyer might be under a little more than usual Saturday night in the Bass Pro Shops NRA Night Race at Bristol (Tenn.) Motor Speedway. Since 2017, Bowyer has driven for owners Gene Haas and three-time Cup Series champion Tony Stewart as part of Stewart-Haas Racing (SHR.) Driving for Stewart, a future Hall of Fame driver, is one thing, but this weekend Bowyer’s Ford Fusion will also carry the logos of Rush Truck Centers and Cummins Inc.
Cummins’global headquarters is in Columbus, Indiana – Stewart’s hometown. Cummins makes its first appearance on the No. 14 Ford Fusion Saturday night, but it is a household name to most motorsports fans. Its lineage dates back to the inaugural Indianapolis 500 in 1911, when company founder Clessie Cummins was on the pit crew of the race-winning Marmon Wasp of driver Ray Harroun. Since its founding in 1919, the company now employs approximately 58,600 people and serves customers in about 190 countries and territories through a network of some 500 company-owned and independent distributor locations and approximately 7,500 dealer locations. While Cummins is a corporation of complementary business segments that design, manufacture, distribute and service a broad portfolio of power solutions, it is best known for its diesel truck engines. At Bristol, Cummins will share space on the No. 14 with Rush Truck Centers, the nation’s largest provider of premium products and services for the commercial vehicle market, with the largest truck inventory in North America. Rush Truck Centers has used Bowyer and the team to appeal to NASCAR fans as one way to recruit the technicians it needs to operate the largest network of commercial truck and bus dealerships in the country, with locations in 22 states. According to Rush Truck Centers, the trucking industry is expected to need 200,000 diesel technicians over the next 10 years to keep up with maintenance demands. Rush Truck Centers wants to make NASCAR fans aware of these opportunities. Rush Truck Centers and Cummins are accustomed to working with each other. When a Cummins customer is in need of maintenance at a Rush Truck Centers location, RushCare Service Connect automatically provides information to Cummins, expediting and facilitating Cummins support and engagement when necessary. All correspondence is captured and can be viewed on the Service Connect portal, allowing customers and service advisors to see the entire maintenance history associated with any vehicle in the system. Rush Truck Centers has integrated its RushCare Telematics Solution and its Service Connect platform with Cummins Connected Diagnostics to improve its service program, making maintenance decisions and service tracking easier for shared customers. Cummins and Rush Truck Centers also help SHR get its racecars to the track each weekend. SHR’s Peterbilt Model 389 haulers are equipped with Cummins engines and RushCare Telematics and supported by the RushCare team, which monitors and reports critical fault codes, vehicle performance and driver habits. This ensures the haulers remain in peak condition while traveling thousands of miles from race to race each season. Bowyer hopes to put both Rush and Cummins in victory lane Saturday night. Although he hasn’t won at Bristol, he’s often near the front when the checkered flag falls there. He owns seven top-five finishes and 12 top-10s at Bristol and has led 137 laps in 25 starts. He finished second in this race in 2017, trailing winner Jimmie Johnson across the finish line by 1.199 seconds. Bowyer arrives at Bristol after a 12th-place finish Sunday at Michigan International Speedway in Brooklyn. The finish kept Bowyer fifth in the regular-season points race. Bowyer owns the fourth-most playoff points as the season winds down with just three races remaining before the 2018 playoffs. Playoff time certainly turns up the pressure for the Cup Series drivers. The pressure of driving for one of the businesses in Stewart’s hometown this weekend in Bristol might make for a good tune-up for Bowyer. What is it like to race at Bristol? What would a victory celebration at Bristol be like? How do you make your car go fast at Bristol?